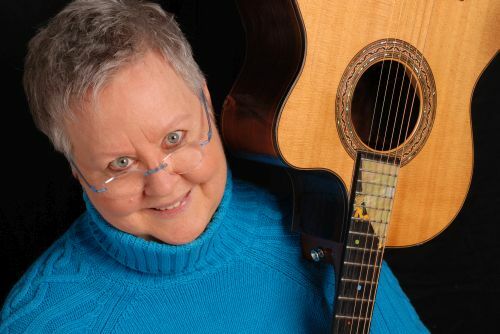 People in the folk music world don’t need to be told who Christine Lavin is. Her most famous songs include Sensitive New Age Guys and Bald Headed Men and she is generally known for her musical comedy pieces. When she attended last year we found that she quickly fit right in with the Moisture Festival. But I can’t remember if she played her short song with the long title “Regretting What I Said to You When You Called Me 11:00 On a Friday Morning to Tell Me that at 1:00 Friday Afternoon You’re Gonna Leave Your Office, Go Downstairs, Hail a Cab to Go Out to the Airport to Catch a Plane to Go Skiing in the Alps for Two Weeks, Not that I Wanted to Go With You, I Wasn’t Able to Leave Town, I’m Not a Very Good Skier, I Couldn’t Expect You to Pay My Way, But After Going Out With You for Three Years I DON’T Like Surprises”. Chrstine has just released her 21st solo album, IF YOU’RE DRUNK YOU CANNOT BUY A PUPPY.